Facial implants are any type of prosthetic or artificial insert that is used to help enhance the structure of the face. It falls within the larger category of operations known as plastic surgeries, as the inserts that are used are typically made from either silicone or saline. Facial implants serve primarily to address issues of definition and facial contour for the chin, jaw and certain other parts of the face; they are typically distinguished from rhinoplasty operations, which serve to address the nose in particular. What do Facial Implants do? Facial implants can help to significantly affect the shape and appearance of your face. Many people are uncomfortable with the natural lines and contours of their face, and facial implants can help to provide added definition to various body parts. This, in turn, can help to improve the patient's self image and confidence, and may have long lasting effects on his or her personality and mood. The ideal candidate for this procedure will be a fully developed adult. It's important that children not undergo a facial implant procedure, as the continued growth of a child's face after the operation can cause pain and disfiguration. The candidate must be adequately healthy so that he or she does not have any other health concerns which may cause a risk of complications during or after the surgery. This typically means that the patient should not be a smoker and should also be free of blood clotting conditions, diabetes, heart disease and other similar issues. Before a patient undergoes surgery, he or she will meet with a cosmetic surgeon to discuss his or her appearance goals and the feasibility of accomplishing those goals with facial implants. The surgeon will ensure that the candidate is an appropriate patient for the operation in question. At the operating table, the procedure begins with the administration of general or local anesthetic. The surgeon will make one or more incisions in the appropriate area of the face, in such a way so as to avoid scarring as best as possible. The implants will be inserted underneath the skin and fit into place before closing the incision up once again. What is the recovery from Facial Implants like? 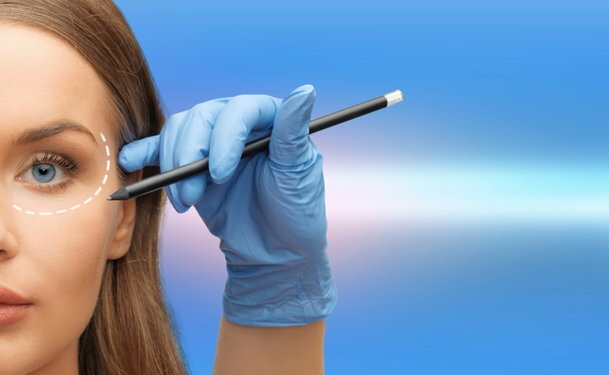 Because most people are very cognizant of sensations surrounding their faces, the recovery period can be longer for this surgery than for others. It will likely take some getting used to in order to feel comfortable with the implant. Over a period of a few weeks, the incision will heal; in the meantime, patients must take pains to ensure that the incision doesn't become infected. Pain medications can also help to ensure that the patient doesn't experience discomfort or pain while the incision is still healing. Antibiotic medicines can also help to protect the patient against infection.